Cable is at it again, fellas! If you missed the bounce at the bottom of the rising channel on the 4-hour time frame, you might still have another chance to play the range once the pair tests the top of the channel. Stochastic is already indicating overbought conditions, which suggests that pound bears could pounce soon. Watch out for reversal candlesticks around the 1.6650 to 1.6700 psychological resistance levels if you’re planning on shorting. Aaah… Breakout! That groovy tune always plays in my head whenever I see a breakout situation taking place. On CAD/JPY’s 4-hour chart, it can be seen that the pair has breached the bottom of the shallow rising channel around the 94.50 minor psychological support. Stochastic has reached the oversold territory but hasn’t crossed upwards yet, which means that Loonie bears have enough energy to push this pair lower. 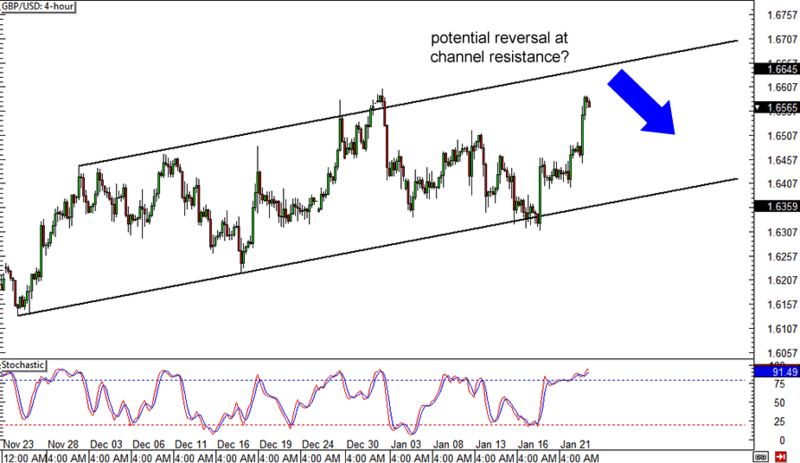 Bounce or break? 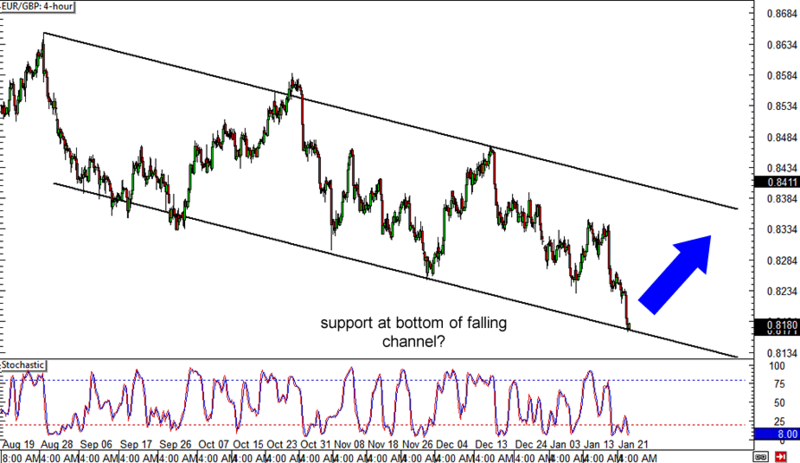 EUR/GBP is currently testing the bottom of the falling channel on its 4-hour time frame while stochastic is lingering around the oversold zone. 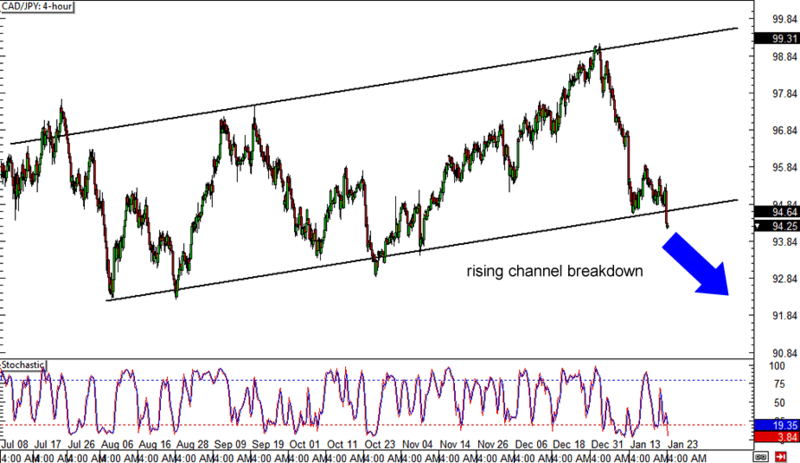 If support at the bottom of the channel and the .8200 major psychological handle holds, the pair might bounce back to the middle of the channel around the .8300 mark. A downside break, on the other hand, means that further losses are in the cards. Which way will it go?